Should You Represent Yourself at an Arraignment Hearing? Self-representation is a basic legal right of every criminal defendant. The art of self-representation is often glorified in crime dramas on TV, but in reality, it can have serious consequences. 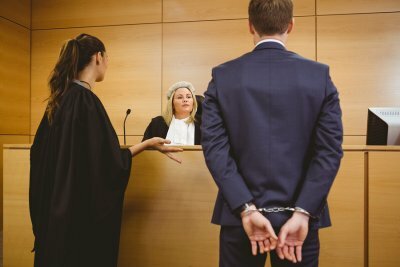 Representing yourself at your arraignment hearing instead of hiring a criminal defense lawyer may affect your ability to obtain affordable bail bonds . Even if you do manage to post bail in an Upper Marlboro-area jail, you may inadvertently make legal mistakes that may compromise your case. The purpose of the arraignment hearing is not to determine whether you’re guilty or not guilty. It’s only an initial hearing during which the judge will formally read the charges against you and ask you to enter a plea. If you haven’t yet retained legal counsel, you will be offered the opportunity to request court-appointed counsel. The judge will also decide whether or not to set bail. If bail is set, then the specific amount will be determined. Normally, arraignment must take place within 48 hours of the arrest. However, in certain cases for minor offenses, defendants may be able to post bail beforehand and then return to the court to be officially arraigned at a later date. Most defendants lack in-depth knowledge of federal and state criminal codes, legal proceedings and protocols, and criminal justice rules. It’s quite easy for a defendant to make multiple errors when representing him- or herself, even during a simple arraignment hearing. To a judge, self-representation is not an acceptable excuse for ignorance of the law or of court rules. Not being able to represent yourself properly can lead the judge to set a higher bail or perhaps even to deny bail. In addition to compromising your ability to obtain bail bonds, representing yourself may prevent technical defects from entering the record. For example, the police officers may have made procedural errors that could have been entered into the record prior to your plea. If you are taken straight from the jail to the courtroom for the arraignment, then you will not have had a chance to review your case. You won’t have the opportunity to read the relevant documents, talk to the prosecutors, or otherwise develop strategies for your defense. What Happens if You Are Arrested When Out on Bail? By posting bail , you are agreeing to certain conditions. You are agreeing to return to court for all scheduled appearances, and you may have to abide by other conditions of bail, such as maintaining employment and obeying all laws. This means that if you are arrested for another offense after posting bail in Upper Marlboro, your bail will usually be revoked. If you used a bail bond agent to get out of jail, then you’re likely facing other consequences as well. When bail is revoked, the money paid to obtain a bail bond is forfeit. If you or your family signed over collateral, the asset could be forfeit because you violated the conditions of your bail. In addition, you could be facing serious legal consequences. In some cases, you may be charged with another offense for violating your original bail. If your criminal defense lawyer was engaged in plea bargain negotiations with the prosecutor, any plea deal will likely be withdrawn. Posting bail allows defendants accused of criminal offenses to be released from jail pending the resolution of their cases. Bail is routinely granted to most offenders and if an offender cannot afford the bail amount, he or she can turn to a bail bond agent in Upper Marlboro. 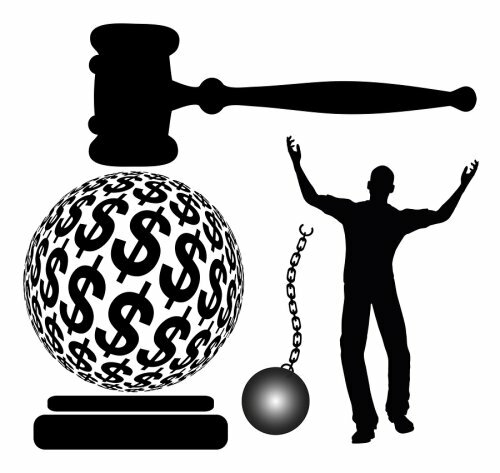 A bail bondsman can arrange for the defendant’s release in exchange for a fee. Because the process of setting and posting bail is routine, it’s often assumed that practically all defendants have a constitutional right to obtain release on bail. This is partially true. The Founding Fathers of America believed strongly in personal freedom. The Bill of Rights was added to the Constitution to protect certain individual freedoms, such as the right of a person to retain his or her freedom until he or she was proven guilty. To reinforce the idea of “innocent until proven guilty,” the Eighth Amendment prohibits judges from requiring excessive bail or setting excessive fines. Of course, the Bill of Rights does not specify exactly what would be considered excessive bail for various criminal offenses. This is subject to interpretation and there are reasonable exceptions to the right to bail. When a defendant goes before a judge at an arraignment hearing, the judge will consider the basic facts of the case and the history of the defendant to determine whether to set bail and if so, how much the bail payment should be. In certain cases, the nature of the crime is considered to be so heinous that bail is denied. For example, although accused serial killers and terrorists are technically innocent until proven guilty, the nature and severity of these crimes counteract the normal right to bail. In other cases, a judge may set very high bail in the interests of public safety. 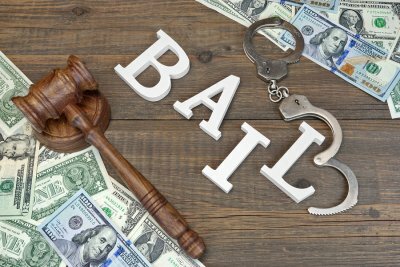 When determining whether bail is excessive or not, the judge may consider the financial resources of the family and the community ties of the defendant. If the family has vast financial resources and the defendant has minimal ties to the community, then the bail amount may be more likely to be higher than usual.